Innovation is our forte and manufacturing Table Top Shrink Wrapping Machine from our side is a strong example of the same. This energy efficient machine has been designed to provide a uniform shrinkage. This heavy-duty machine is equipped with variable speed conveyor and is available at an extremely affordable rate. Moreover, Silicon covered rollers, Heavy-duty chain system and Adjustable leveling screws have made them energy efficient design. We, Attitude Papers from 2015 are prominent Manufacturers, Importers and Exporters of high-quality Paper Plate and Cup Making Machine. 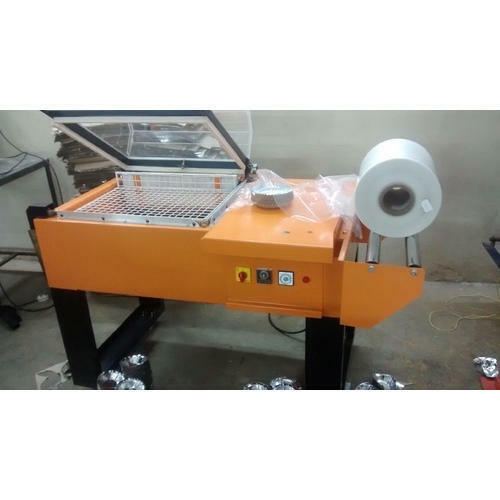 Offered products range consists of Silver Laminated Paper, Paper Plate Making Machine, and Dona Making Machine. Recognized for their long service life, simple design, smooth functioning and high efficiency, these products are made available in several sizes. We are offering these products in customized options also as per the detailed requirements of our clients. Apart from this, all our offered paper plate and cup making machines are quality assured against the industry set parameters to ensure their quality. Our state-of-the-art infrastructure unit is loaded with contemporary technology and machines. This helps us to cater the bulk requirements of our prestigious patrons. Together with this, we have a team of talented professionals which work dedicatedly to provide our patrons a quality approved product range which is in compliance with the client’s given specifications. Moreover, owing to our ethical business policy, we are well appreciated by our huge clientele group.